Imagine all your favorite summer classical festivals rolled into one: Tanglewood, Mostly Mozart, Lincoln Center, Santa Fe Opera, Boston Early Music (OK, it’s held in the spring), a chamber fest of your choosing. That’s about what you get with the one, the only BBC Proms, a two month extravaganza of 76 orchestral concerts at the Royal Albert Hall, plus a substantial offering of chamber music, matinees, park concerts and other special events at various London venues. A more than century-old tradition, the Proms (short for Promenade Concerts) has been since 1927 under the aegis of the BBC, who do a terrific job broadcasting, telecasting, webcasting, archiving and otherwise making the programs easily available to an worldwide audience. There’s nothing like it. Far from concentrating on casual, crowd-pleasing fare, the Proms offers an extremely varied roster of hits, blockbusters, novelties, challenging rarities, and, to its great credit, a substantial proportion of works by living composers. 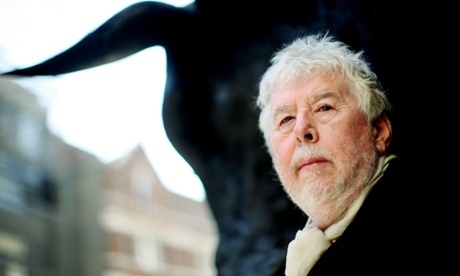 This year, for instance, the schedule contains tributes to two elder statesman of British music, Sir Harrison Birtwistle (pictured above) and Sir Peter Maxwell Davies, on the occasion of their eightieth birthdays. If you know their music, you would also know that neither gentleman’s works would exactly fall into the category of easy listening. A couple dozen or more living composers, many of the younger generation, made the cut for this season’s roster. New music is very well served by the Proms. But that’s not the impression you’d get from the reaction of the British musical press and new music fans to a decision the BBC has made regarding some of its delayed (i.e., non-live) telecasts of Proms concerts. As reported here by The Guardian, works by six living composers, including Birtwistle, were omitted from the delayed telecasts of the concerts on which they were featured. Why would the BBC do that? On the BBC Blog, an explanation is offered by Greg Sanderson, Commissioning Editor Arts and Music (why didn’t I ever get a cool title like that?) and participant in the Proms telecasts. In very short, changes in production style this year meant that not every piece would fit into the time allotted for the telecast. So something had to go. Sometimes, those somethings were the new work on the program — sorry, programme. 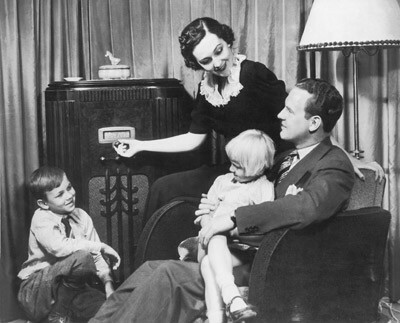 Still, Sanderson wrote, “70% of the music broadcast on TV this year is from the 20th and 21st Centuries, and we are broadcasting as many new works this year as last. So, contrary to some claims, we’re actually making more filmed Proms performances of contemporary music available to viewers than ever before.” And in any case, the omitted works are still available to watch on the BBC iPlayer. But as sports fans know, a “what have you done for me lately?” attitude prevails among supporters of even the most successful franchises. So, such overreaction and ingratitude comes with the territory, and can be chalked up to human nature — to which we can add the not totally unjustified paranoia of new music lovers when it comes to perceived attacks on their favored and endangered sounds. On the other hand, while I’m sympathetic to the BBC’s reasoning, having been in Mr. Sanderson’s shoes many times myself, I don’t think the public relations hit the BBC is taking is worth whatever benefit they gained by making the changes that resulted in such hurt feelings. Yes, sometimes changes have to be made in the broadcast biz, changes that result in short-term pain and long-term gain. You make the change, weather the storm, and emerge the stronger for it. Even non-commercial, publicly-funded broadcasters must occasionally make risky changes, lest their ability to serve the public fall behind the times. But sometimes, the changes just aren’t worth the grief. I think this is one such case. And in such a case, rather than provide a lengthy, technical “inside baseball” explanation that will placate no one, you instead thank your critics for their feedback, you eat a little crow, and you promise to rethink the decision — then, actually carry through with your promise. If the BBC does that in what is, when you really see it in perspective, a fairly minor situation, then all will be forgiven and forgotten. And the BBC Proms will get back its reputation for being one of the best friends new music has.